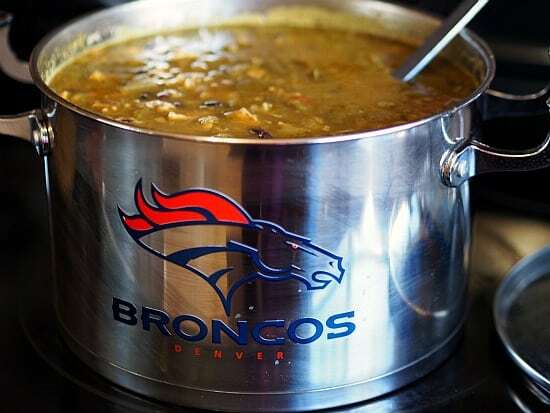 In Colorado, no Super Bowl is complete without a big pot of Black and White green chili! This is a good one! So you know me and my obsession with green chili. Well nothing has changed but I wanted to mix it up a bit and instead of my normal Chicken Green Chili Stew, I decided on a Black and White Green chili instead. 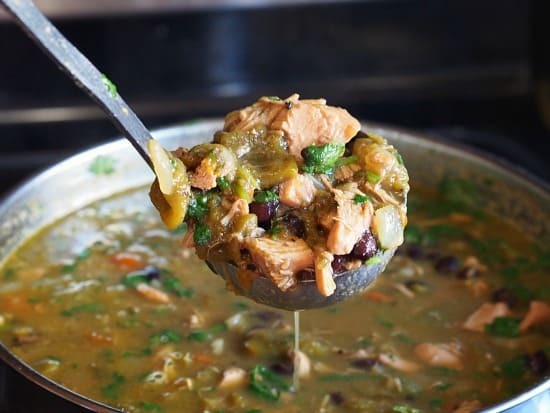 Basically chicken and black bean green chili. Oh my gosh this turned out good. This batch is a little spicy in a good way and I so can’t wait to share it with my friends tomorrow. Plus check out the picture below of my fancy new soup pot. I couldn’t resist buying it! Anyway, my “Orange” Chicken Wings are marinating and chili is made and all I have to do now is take a quick power nap, play some tennis and get ready for tomorrow. It’s gonna be a fun birthday! Another variation of green chili! Chicken and Black bean! Coat the bottom of a large soup pot with olive oil. Heat up on medium heat and add onions, green chili and garlic. Cook for about 5 minutes until the onions become translucent. Add the salt, pepper, cumin, chili powder, coriander, bay leaves and oregano. Stir in the chicken, black beans and chicken broth. Simmer on low heat for an hour or so. Add the cilantro and cook for another half hour. My new fancy chili pot! Ready for the game on Sunday! 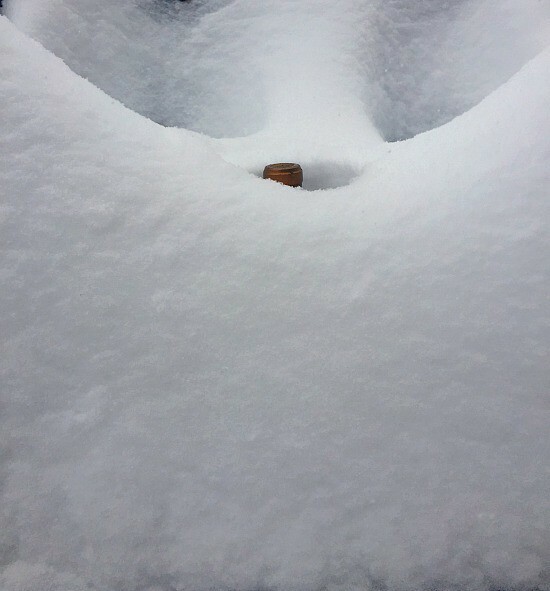 In Denver, we measure the snow by the wine bottle! Man this sounds great. We’re about to get some crappy winter weather mon-tues so I should make a batch of this. It would be perfect. It was yummy- I made it when it was cold here! Now after another week of high 60’s low 70’s we are gonna have another warm week! I love wearing shorts in February!! Have fun with the cold Chris! Holy Cow! What a great birthday with the win! Fun Fun DAY! I can’t imagine there are 11 people in this city that aren’t interested in the Super Bowl tomorrow. oh-well. Love that chili pot! I may have to take a valium tomorrow. Go Broncos.